What’s the hottest ski destination this winter? It’s not glitzy Verbier, glamorous Chamonix, or even Sochi, the host of the 2014 Winter Olympics. It’s in a country you probably don’t associate with skiing, if you think about this Balkan location at all. It’s a secret the Brits and the Russians have been trying to keep to themselves. But the secret is out. Bulgaria is the place to go. In Southwestern Bulgaria, near the Greek and the Macedonian borders, you’ll find Bansko and the Pirin Mountains. It’s an area filled with ancient pine forests and crystal-clear lakes. The old town has timber houses, stone walls, and cobblestone streets. Roman ruins are nearby. But until recently, Bansko was more popular with livestock breeders and traveling merchants than winter sport enthusiasts. 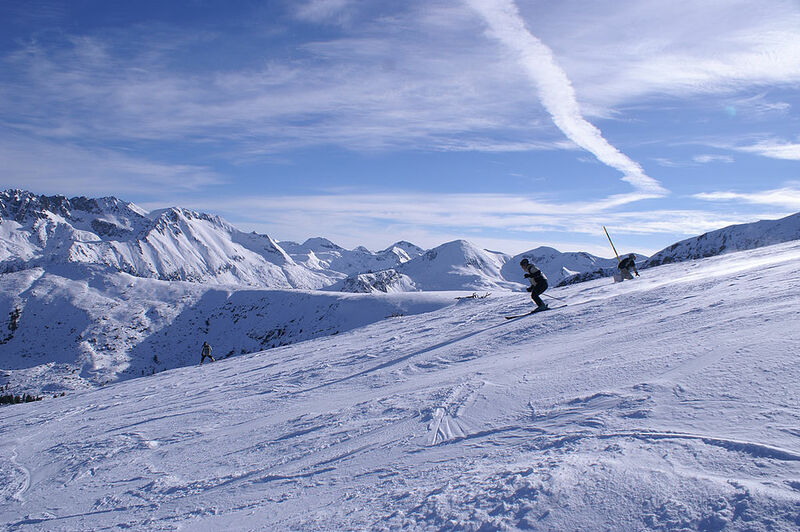 But now Bansko is the country’s largest ski resort, with more than 40 miles of trails and powder until April. FIS Alpine World Cup events are even held here. Take the gondola up the mountain from Bansko. Todorka peak stands imposingly over the town. Stick to the Shiligarnika and the Plato trails, if you’re a beginner. Move to the Old Piste, the Chalin Valog, and the Todorka trails once you feel more comfortable. And those who ski regularly should head right to the Tomba trail. There’s a half-pipe for snowboarders, slalom and giant slalom runs for racers, and lights so you can keep skiing at night. When you’re finished for the day, or at least need a break before returning for night skiing, take the shuttle back to your hotel. 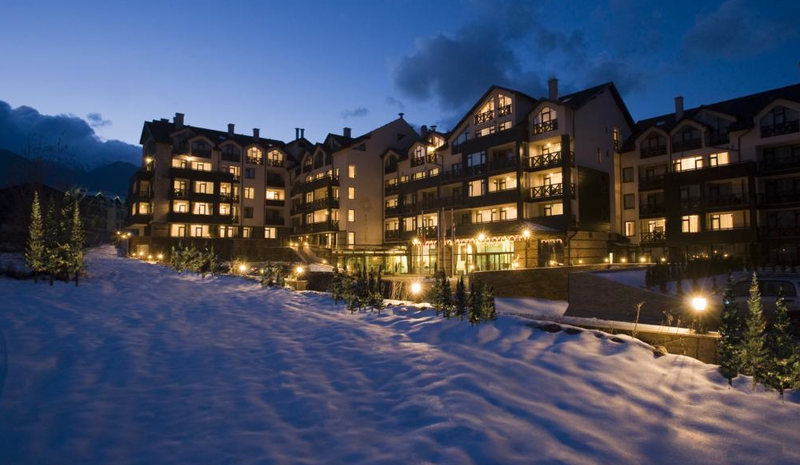 The Premier Luxury Mountain Resort may not have a very inspired name, but the lodge-style hotel is modern and cozy. Fireplaces warm the common areas, rooms have mountain views, and the spa is the perfect place to relax tired muscles. Get your blood flowing in a Kneipp Walk, loosen up in the hammam, and book a tired legs therapy treatment. You’ll be ready to return to the slopes in no time. For dinner, you can eat at Amvrosia, the hotel’s fine-dining restaurant, or try a mehana in town for more traditional cuisine. You’ll pass the Glazne River, the high-walled Holy Trinity Church, and people covered in animal furs on your way to Baryakova. The restaurant has timber beams, embroidered tablecloths, and Banski staretz, a type of sausage you must try as an appetizer. The food here is hearty, and the musicians play local folk tunes. After dinner, go ice skating at Ledena Parzelka or watch a punk band at BaseCamp. You could party the night away at one of the thumping clubs, but you prefer a nightcap at Nectar Bar back at the hotel. That way you’ll beat the crowds to the slopes in the morning, and you’ll have fresh powder all to yourself.